Hi friends! 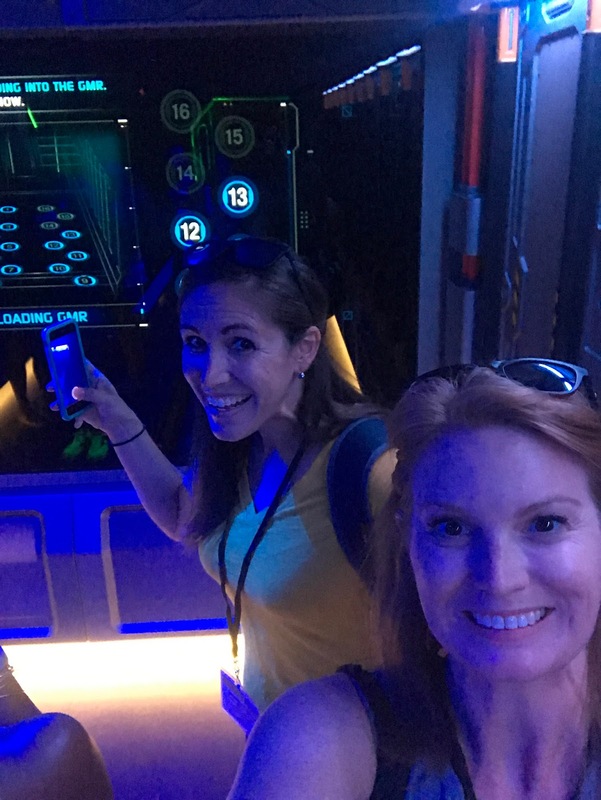 Earlier this week, I had an amazing opportunity to join my friend Heather for a sneak peek of Pandora: World of Avatar. Being a Florida resident and Disney Annual Passholder, I have watched this new land at Animal Kingdom grow over the years and was so excited to finally check it out. The brand new land opens to the public on May 27th but I am giving you a sneak peek today! 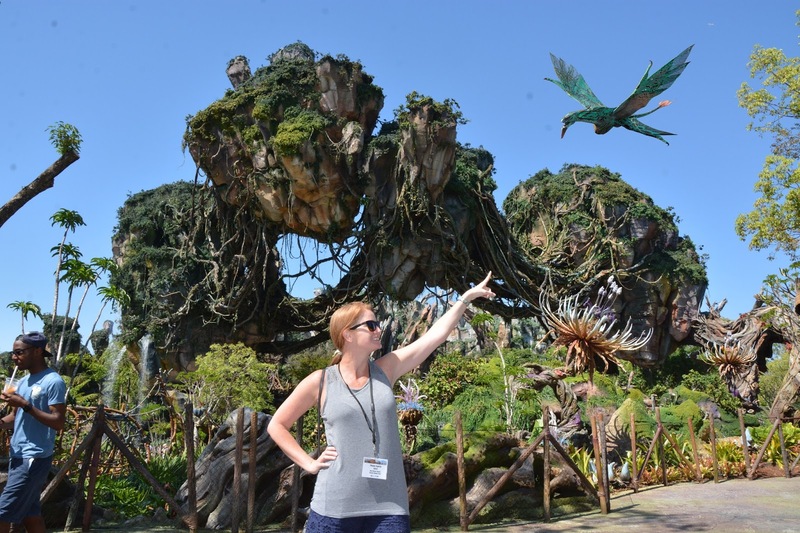 This is a photo heavy post but it includes all the details you need to know about Pandora: World of Avatar. I know without doubt this will be a very popular destination. This is exactly the time you need to take advantage of Extra Magic Hours when you stay at a Disney Resort. The Valley of Mo'ara is the most stunning sight in all of Walt Disney World. Floating mountains, glowing fauna and flora, a native drum cirle, exotic plants and much more. Pandora, World of Avatar is based on Oscar-winning filmmaker James Cameron’s record-breaking box-office hit, Avatar. We bought Avatar when it came out on DVD because it was available in 3D - and we were those cool kids back in the day. I remember staring at my TV in awe, at this beautiful world called Pandora. I can 100% say, Pandora World of Avatar is more beautiful in person than what was on my 3D TV back in 2011. This beautiful land transforms at night with bioluminescent flora. I look forward to returning once it has been open to see this in person! This ride is more than a ride - it is an experience. One that I can tell you all about but you won't truly understand until you go on it yourself. You start the journey begins in facility where you and 16 other people will get matched and be assigned to a personal avatar. From there we went on a Link Chair, which allowed us to fly on a Banshee in Pandora by way of the Avatar. If you've never seen Avatar, you have no idea what I am talking about - so I will simplify it for you. You are linked to an Avatar, that Avatar flies on a giant winged bird like creature, allowing you to virtually explore the world of Pandora. Got it? Each guest is on a single-seat simulator (like a motorcycle) that delivers a realistic sensation of riding a living creature. You can feel it breathing mid-flight and feel the muscles contracting when you change directions. That alone made this ride stand out from anything else I've ever experienced. You explore lifelike encounters in the world of Pandora, splashing whale-like creatures (you will feel a splash), blowing wind, roaring banshees, and a threatening encounter with a flying predator. The flight is 4 minutes long and you honestly do not want to get off. I could sit here and write about this ride all day long, but nothing I say will truly capture the experience. Na'vi River Journey was a beautiful relaxing boat ride down a river in a bioluminescent rainforest. 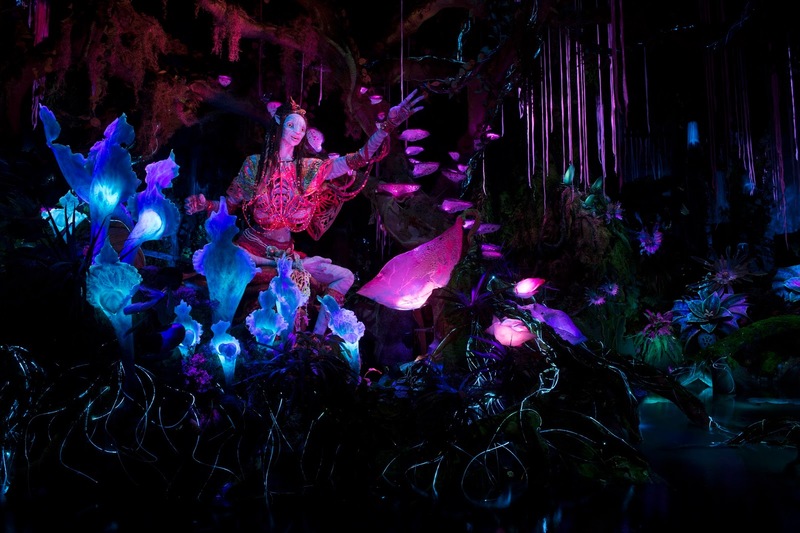 Guests traveled past exotic glowing plants and creatures into the midst of a musical Na’vi ceremony. It was a nice ride, and in the dark AC, a break from the summer FL heat is always appreciated at Disney. This ride is friendly for all ages and was gorgeous. You can create your own Bowls here! Select your protein between: Slow roasted grilled beef; chopped wood grilled chicken; sustainable fish fillet; chili spiced crispy fried tofu. Your protein will sit on top of your choice of a base, selecting from quinoa and vegetable salad; red and sweet potato hash; mixed whole-grain and rice or romaine and kale salad. Finally top it off with charred onion chimichurri, black bean vinaigrette or creamy herb dressing and sauce. We were there during breakfast hours so I didn't get a chance to build a bowl, but I will return since this is right up my alley. They also served Steamed Bao Buns! You have a choice between Cheeseburger or Vegetable Curry. Side note: This is the first place I have seen mobile order offered here at any of the Disney parks. You are able to order your food to save time. So excited about this feature! Pongu Pongu means “Party Party” in the language of the Na’vi! How cute is this space. There is a variety of drinks you will only find here, perfect for cooling off after your flight of passage. We tried the Night Blossom, a mixture of Limeade with Apple and Desert Pear flavors topped with Passion Fruit Boba Balls. They also offer a frozen Margarita, the "Mo'ara Margarita" made with Sauza Conmemorativo Añejo Tequila with Strawberry and Blood Orange flavors topped with Strawberry Boba Balls. If you are in the mood for a beer, they've got a few of those too, including green beer year round! Although I did not get photos of the Windtraders gift shop, I must tell you - don't expect to see anything with Mickey Mouse in there. One of the fellow bloggers brought home a banshee pet of her very own. If you're an Avatar fan, be warned, you will leave this shop with a light pocket. Well there you have it - Pandora World of Avatar. Be sure to check out the Pandora cast members name tags and ask them where they are from. Fun! Thanks for this post. We are visiting about one month after opening and have no idea what to expect. We're looking forward to it!